Force of Nature artists make computer games for children and the young at heart, aged 7 and up. We do our best to craft playful, entertaining and educational experiences. We make games that are enticing and fun to play, with embedded educational value. Our games are home and classroom friendly, and will soon be available for retail purchase, site licensing (for use on multiple computers in an educational environment) and as a stand-alone systems for mobile use or permanent installation. 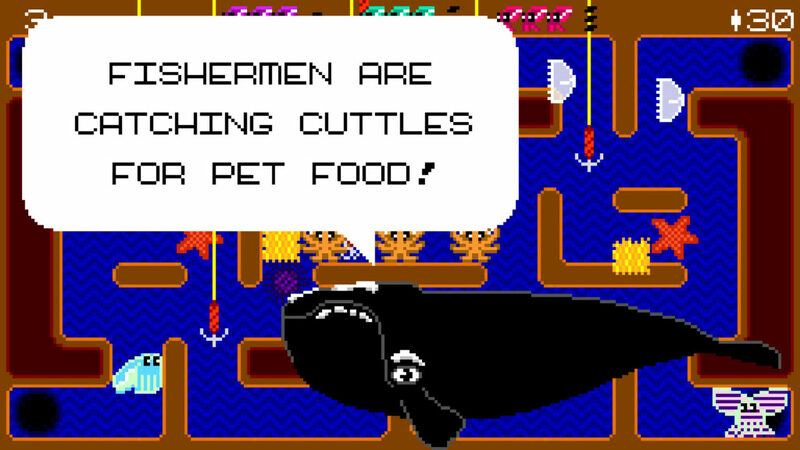 Cuttle Scuttle is our first Force of Nature game. 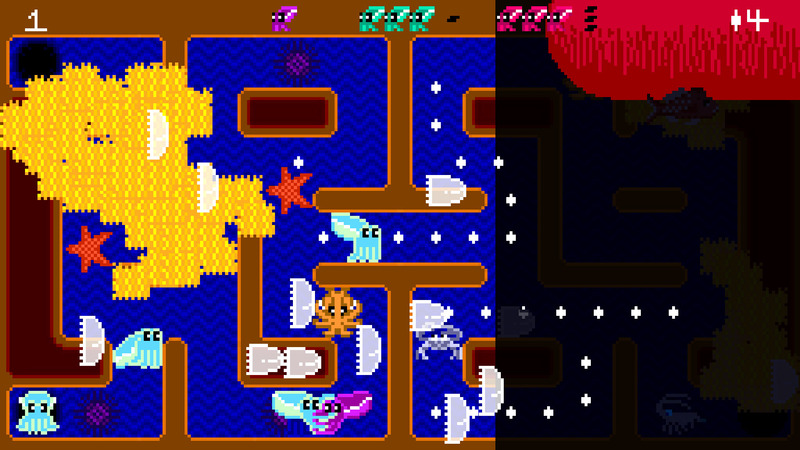 It is both a cooperative retro arcade game and a marine ecosystem simulator. Players develop the skills necessary for a cuttlefish to survive in the wild; a place brimming over with predators, prey and hazardous human activities. A Beta version was released for Windows PCs via itch.io in 2015. Full commercial release for Linux, Mac and mobile platforms is pending in 2018.